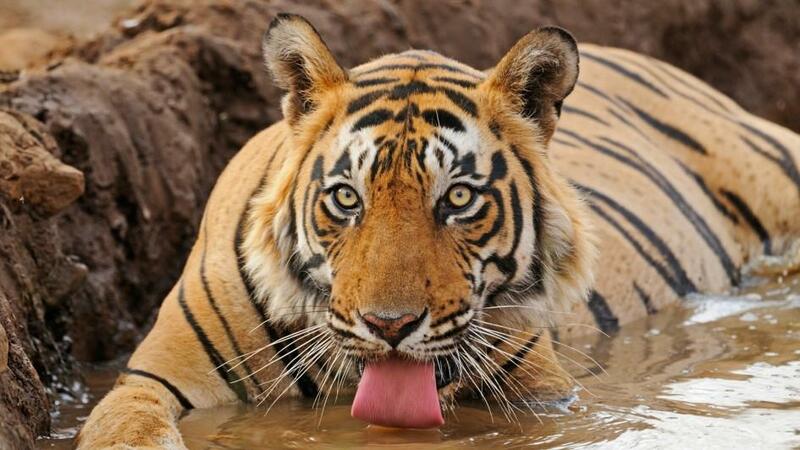 While a tiger’s natural orange and bright stripes are stunning to behold, and central to how we think of their appearance, have you ever stopped to wonder what a tiger looks like without his fur? 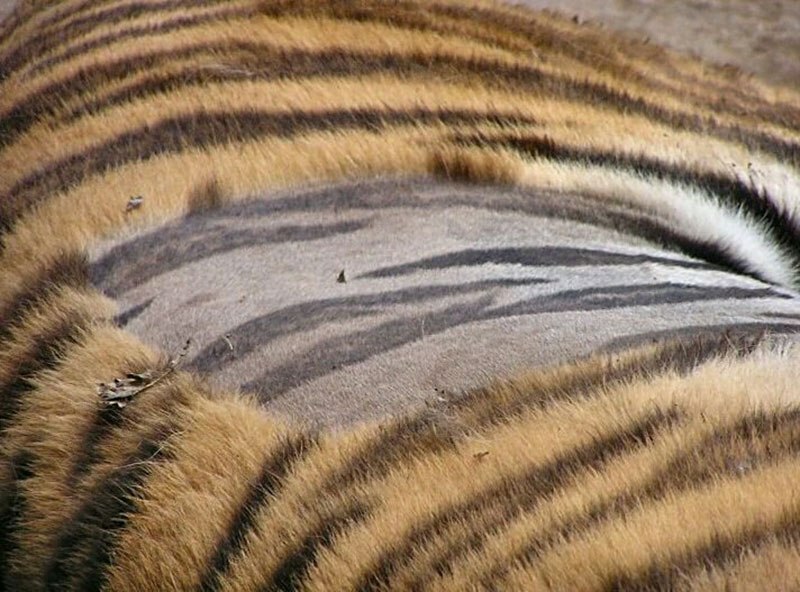 It turns out, that unlike dogs or other animals who get annual haircuts, when a tiger is shaved the skin beneath the fur has the same striped pattern as the one that appears when his coat is present! Tigers aren’t the only animals out there whose skin shares the same patterns as the markings on its fur. 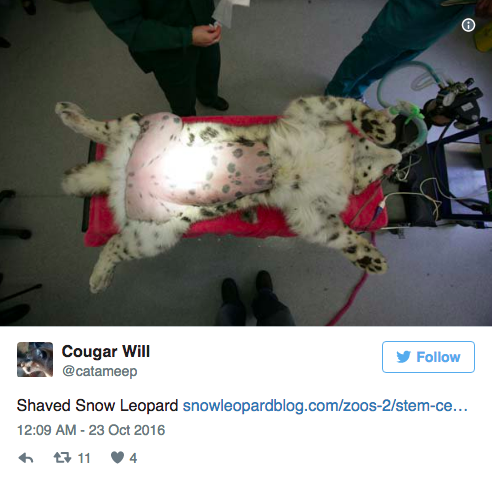 Check out this snow leopard’s beautifully spotted tummy! Doctors got a peek when the animal was put under for a routine treatment.